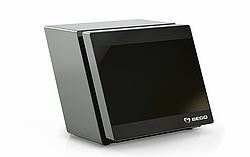 The latest scanning technology of the BEGO LabScan HD-scanner offers you access to the unique world of BEGO CAD/CAM products. 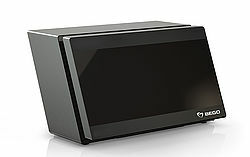 BEGO offers a number of systems made up of various scanner models combined with leading CAD software systems for the dental laboratory – tailored to your needs. This allows digitalization of models and conventional impressions and design of the corresponding restorations. The scanner, PC and software are assembled and set up for you by our trained technicians. The purchase price includes a training of your technicians in addition to other valuable services. You can start working on your first design immediately after installation of the workstation and take advantage of the material and product diversity as well as the outstanding cost effectiveness of the BEGO CAD/CAM technology right from the beginning. The coordinated system consisting of a scanner as well as scanning and modeling software guarantees you the highest level of quality. Software "3Shape Model Builder STL"
** Also includes Sirona Scan Import Interface. *** A prerequisite is Sirona “OPEN 3Shape Interfaces”. For more details, please contact Sirona.